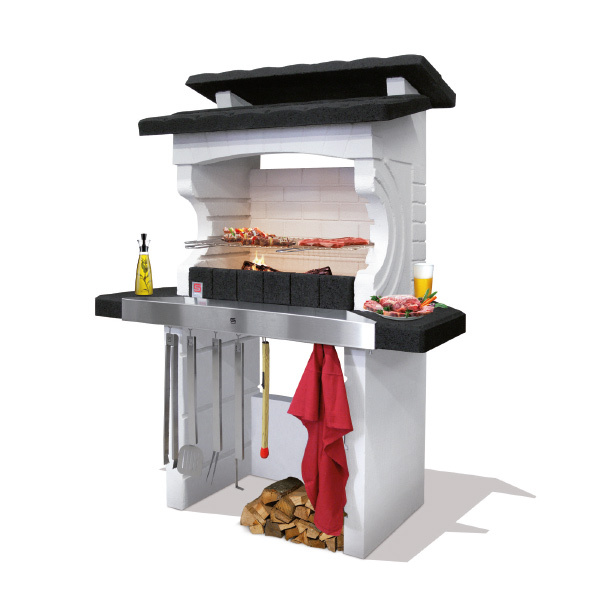 Designed barbecue, made of high heat-resistant stone compound. 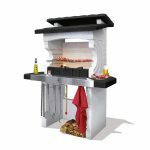 Fire place with briquette style imitation. Equipped with reinforced worktop “ERGONOMIC” with two surfaces. Stainless steel drop saver useful to protect the worktop and hang tools. Pre-coloured in the compound. Easy assembly.